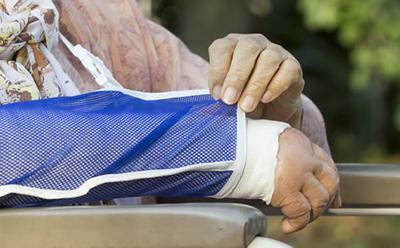 Older people with an age-related loss of muscle mass and strength may be at greater risk of falling and bone fractures, according to new research led by the University of Southampton. A study by an international team of researchers into sarcopenia –where muscles lose form and function with age – found that those with the condition reported higher numbers of falls in the last year and a higher prevalence of fractures. The decline in muscle mass between the ages of 40 and 80 has been estimated to range from 30 to 60 per cent and is associated with disability, sickness and death. However, there are no universally accepted criteria with which to diagnose patients with sarcopenia and identify those at risk. Three different systems have been suggested by different organisations, as well as a wider term – ‘dysmobility syndrome’ – which encompasses several adverse factors, including sarcopenia, along with low walking speed and osteoporosis. Researchers in the UK, USA and New Zealand assessed a group aged between 70 and 82 using the three sarcopenia definitions, along with the dysmobility syndrome criteria, to see how the different diagnoses corresponded to the occurrence of falls and factures (during the previous year and since the age of 45). The study, published in Calcified Tissue International, found that the International Working Group on Sarcopenia (IWGS) definition identified the most cases of the condition (8.3 per cent of the cohort) and was linked with significantly higher numbers of falls in the last year and prevalent fractures. These associations were not apparent when using the European Working Group for Sarcopenia in Older People (EWGSOP) diagnosis or the Foundation for the National Institutes of Health Sarcopenia Project (FNIH) diagnosis (which only identified two per cent as having the condition). Dysmobilty syndrome was common (affecting 24.8 per cent) and corresponded to higher numbers of falls, but no increase in the fracture rate. Dysmobility syndrome – Defined as three or more of low muscle mass (low skeletal mass index); low muscle strength (low grip strength); low walking speed; low ratio of muscle to fat (low leg lean mass : fat mass ratio); osteoporosis (a T-score in the osteoporotic range); and previous falls (fall in the last year).